Our angels, too, are divided into units, squadrons and battalions. I belong to battalion 1257, brigade 309 of the IDF’s artillery core. I’ve been part of the 500 soldier battalion for the past eight years. Some are my subordinates, some – my commanders, others – contemporaries. All of them are my friends. 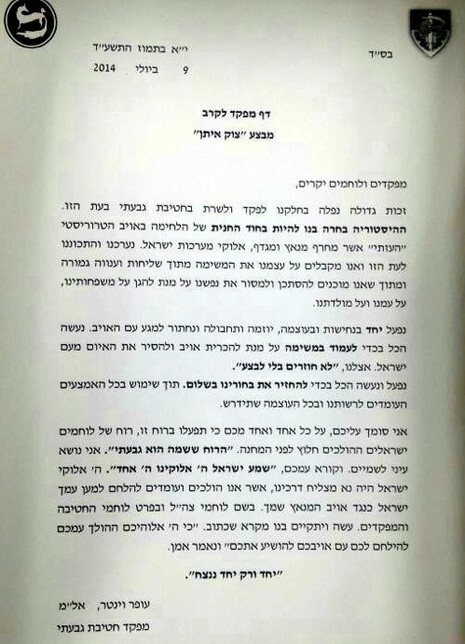 My battalion just received a צו שמונה which is a notice at a time of emergency calling reserve soldiers to immediate service. They’ve stopped working and studying, they’ve left their wives and children and are putting their lives on the line at this very moment. I miss them and wish I were there, fighting alongside them. I have family and friends in Ofakim, Be’er Sheva, Yad Binyamin and Rechovot, all of whom are in range of the hundreds of rockets fired from Gazaover the past few days. I miss them and wish I were there, making sure they are safe. Am I concerned? A bit. Am I worried or scared? No. First and foremost, I am proud. I am proud to be living in a time when we can stand up for ourselves, defend The Jewish People, the Jewish Land and State. I am proud that I was raised to serve in the Israeli army and have done so for many years. I am proud of my friends who are putting the welfare of the Jewish People before the concern for their jobs, their families and even their lives. I am proud that my family has stayed in their homes, not leaving to “safer ground” because that is their way of putting up a fight. 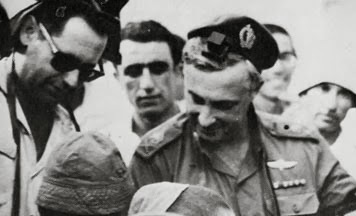 Zahal has named the current operation “עמוד ענן” – pillar of cloud. The עמוד ענןshowed us the way and guided us in the desert. We were dependent on it and trusted it. 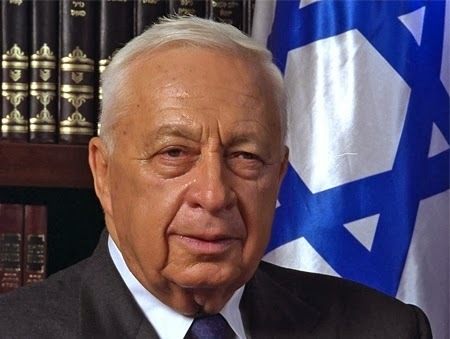 The same is true of Zahal today. But more importantly,עמוד הענןassured us we were on the right path and that Hashem was with us. The bravery, conviction, faith and מסירות נפש of Zahal and the citizens of Southern Israel assures us of the same. We know what we are doing is right and just and we see that Hashem is with us still. And just like the original עמוד ענן, we have faith that this one too, regardless of how events develop, will protect us and end us up in a better place. 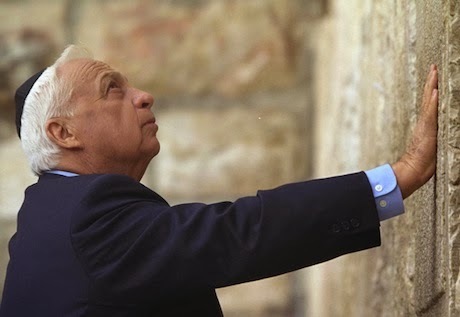 Until the time we can join the citizens of Israelin their fortitude and the soldiers of Zahal in their מסירות נפש, it is our obligation and pride to pray, learn Torah, give Tzdaka and have faith in their victory for the sake and pride of all of Israel.